Catch the fish of a lifetime. Cast Frigg Popper out and then jerk your rod tip down in short, jerking motions, causing the bait to “pop”. Experiment with different cadences until you start getting bites – a “pop, pop, pause, repeat” cadence is a good place to start. Because of their ability to draw strikes, Frigg Poppers are most effective when fished around shoreline cover, so target overhanging brush, docks, laydowns, rock piles, jetties and seawalls. Poppers should be fished on a 6 1⁄2 foot medium power baitcasting rod paired to a high speed reel spooled with 10 to 15 pound monofilament. Because they have treble hooks, try using a more limber (slower action) rod like a crankbait rod to minimize lost fish. When working around shallow cover, try using a shorter, 6 foot rod to maximize accuracy. Match your rod and rigging to your target species. We all know a Knucklehead. The words definition is something like a crazy person who doesn’t really care. That’s where this starter pack got its name. You see, when the Frigg Plugs were invented they called us crazy. But because we are Knuckleheads, one of our first Frigg Plug designs was the Badass Bunker. 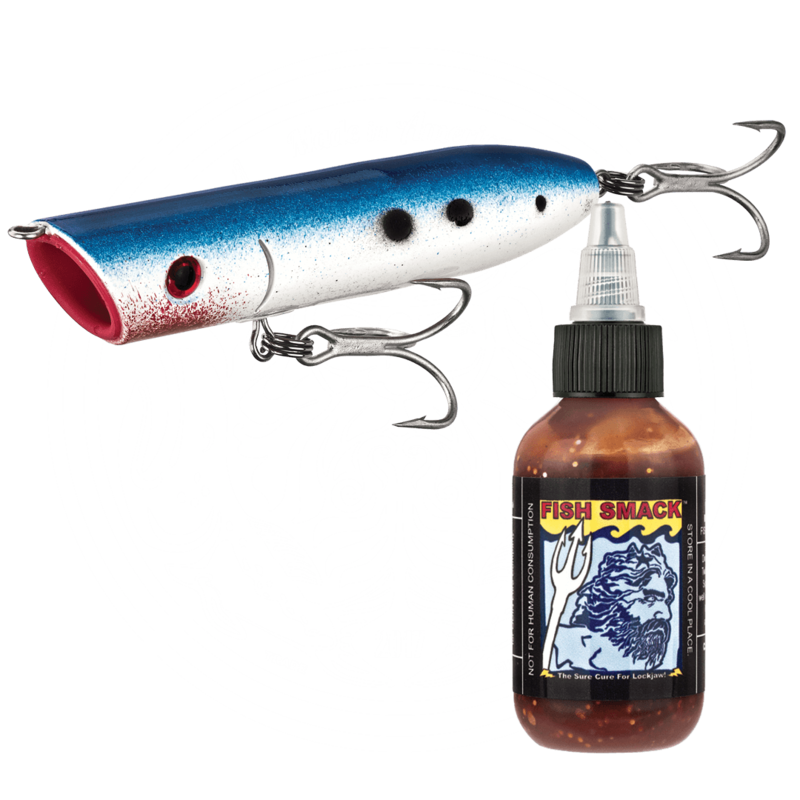 Designed specifically to catch Blue Fish, the Badass Bunker quickly became a fan favorite. Not only did it help you catch MORE fish, it helped you catch BIGGER fish. Now if that makes us Knuckleheads, so be it.